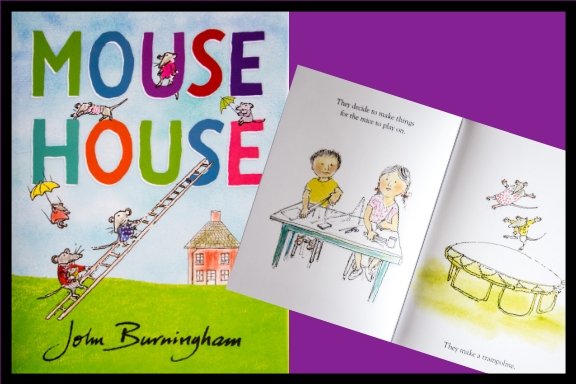 Candlewick Press kid lit is perfect for building your home library. And with good children’s books you can do a lot more than just teach reading. You can spark the imagination of your young learners with a few simple ideas. When my two boys were young, we made building a home library a priority. We believed in creating a language-rich environment so they could read and explore whenever something captured their attention. And we knew that having a variety of picture books, nonfiction, and kid lit would help us teach subjects beyond just how to read. But there is another benefit to having great children’s books for your homeschool. 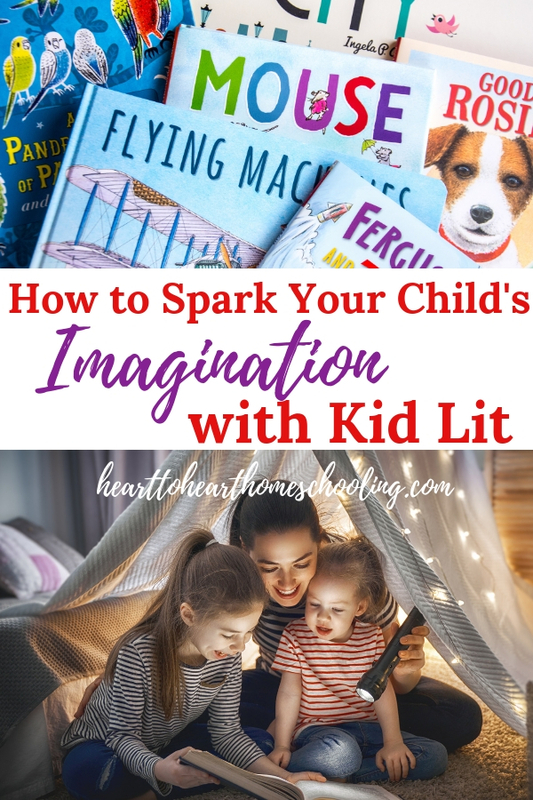 You can use kid’s lit to spark your child’s imagination. I received the following books for free and was compensated for my time. All opinions are honest, and I was not required to post a positive review. It really doesn’t take much to spark the imagination of a child. There is something so whimsical about the way their minds work. Imagination is about being creative and resourceful—something that comes naturally to kids. If you ever doubt that, just give children some boxes and duct tape 😉 Or teens for that matter. Children are naturally drawn to stories, whether through words or pictures. These simple ideas can be used with any book to help your kids’ imaginations come alive. 1. Encourage them to pretend. To be a character from the book. Then they can write a letter to another character or act out a scene from the story. To be in the same situation as a character. Let them role play a scene with you or a sibling. A character made a different decision at some point in the story? There was a different ending? The story was told from a another point of view? Or you can ask questions based on the pictures or story in your book. Let those questions lead to a conversation between you and your children. Taking to our kids will help them develop good thinking skills. Or create a stop-motion animated video of a scene from the book. My boys loved to use LEGOs and iMovie when they were younger. Your children can write poems and stories inspired by kids lit. They can even illustrate them in a similar style. Just like children can learn to write using copywork, they can learn to tell stories by imitating the ones they are reading. Let’s look at how you can use these types of ideas with books from Candlewick Press. 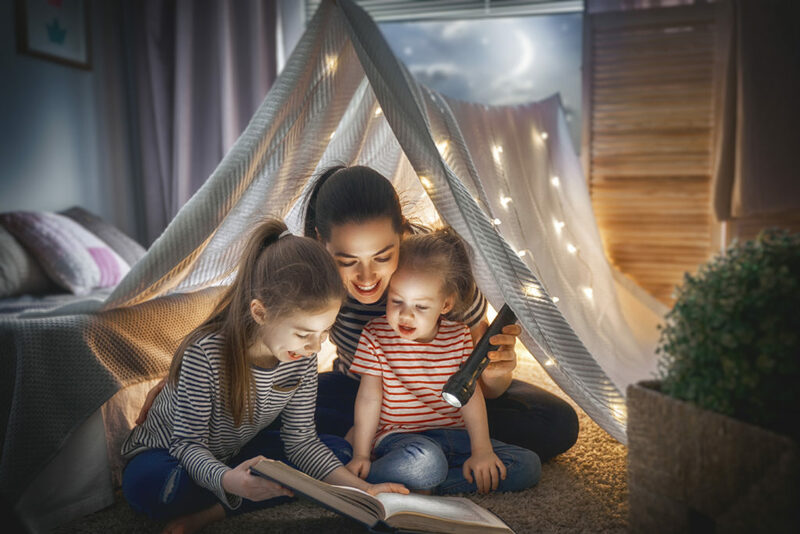 Candlewick offers a variety of quality fiction and non-fiction books for children and young adults perfect for these “sparky activities”. I love this colorful, creative book! With “search-and-find” questions on each page and fun little poems to capture your children’s attention, young kids will grab this book for you to read to them again and again. At the end of the book you’ll even find a section of “Did you see?” questions so your children can search the pages again. And there’s a “Who’s Who” section full of interesting facts about each of the featured animals. Choose an animal that isn’t in this book and write your own short poem about it. Draw or paint a picture of an animal in a similar style as the illustrations in the book. Come up with your own “search-and-find” questions to ask a parent or sibling. Find out what part of the world the different animals are from. Create a travel brochure to the place that includes information on the animal featured in the book. 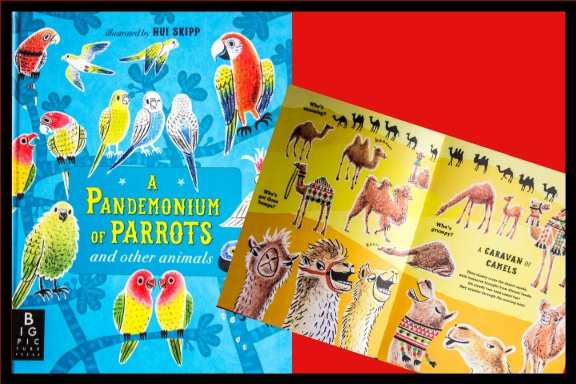 Write your own collective names for other animals (like “a pandemonium of parrots” or a “caravan of camels”). This story reminds me of just how differently adults see things than children. And I love the illustrations in this book! I don’t think I’ll ever outgrow picture books. Mice are characters in so many children’s books, and this one will be a great edition to a mouse-filled collection. Make your own mouse size playground. What if the story was told from the perspective of the mice? Try writing the new story down and illustrate it in a similar style. Pretend you are one of the mice and write a letter to the children in the story. Or write a letter to the father about why you should be able to stay. Write a poem about the mice living in the house or out in the backyard. 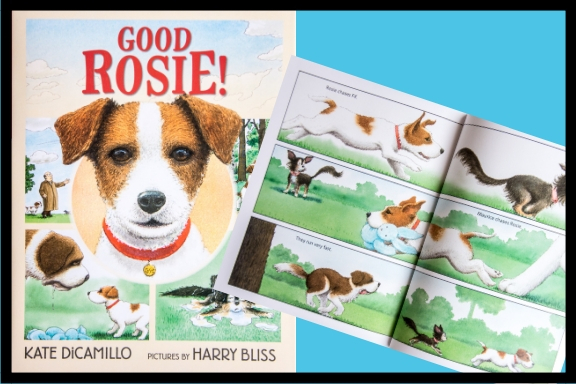 Good Rosie is written in a type of graphic novel or comic book form. Create your own graphic book about your pet or other animal. Pretend you feel lonely and want to make friends. What will you do? Act it out with a parent or sibling. What if one of the other dogs was the main character? Write the story from either Fif’ or Maurice’s point-of-view. What if the characters were cats? What type of things would they do with one another? 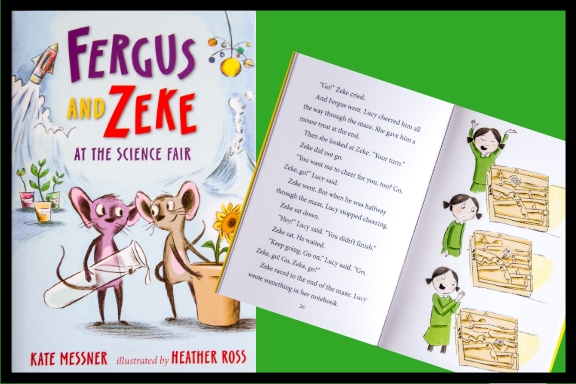 Fergus and Zeke love being the class pets in Miss Maxwell’s classroom, and they do everything the students do — listening at storytime, painting masterpieces during art class, and keeping their own special journals. But when it’s time for the school science fair, the mice aren’t sure just how to get involved. Lucy wants to time them as they run through a maze, but they want to do an experiment, not be an experiment…. Build or draw a maze. Write or act out a story based on your own pets. 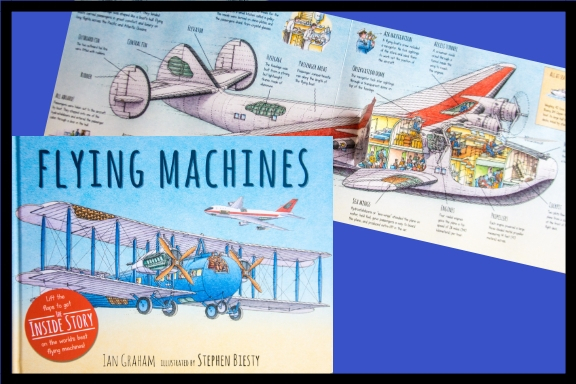 Discover the inner workings of eight of the most incredible flying machines of all time in this lift-the-flap book by the best-selling, award-winning illustrator Stephen Biesty. With amazingly detailed drawings and more than forty flaps, young readers can meet some of the early aviators and their pioneering aircraft, peek inside a luxury flying boat, and see the technology of a rocket space plane. Packed with fun facts, this is the perfect introduction to planes and helicopters from all over the world. Build a model airplane with a kit or legos. Draw a vehicle or boat in the same style and write interesting facts about it around your drawing. Find out more information about one of the facts you learned and share with your family. Write a story that includes one of the flying machines featured in this book. Use the details and facts you learned in the book. Iconic urban images are featured on every page — from subways to skyscrapers, museums to cafes, fountains to sidewalk newsstands. Each bold, graphic image is set apart by a different typeface, transforming a whimsical celebration of cities into an artfully designed title for every bookshelf. This is truly a BIG book. Literally! 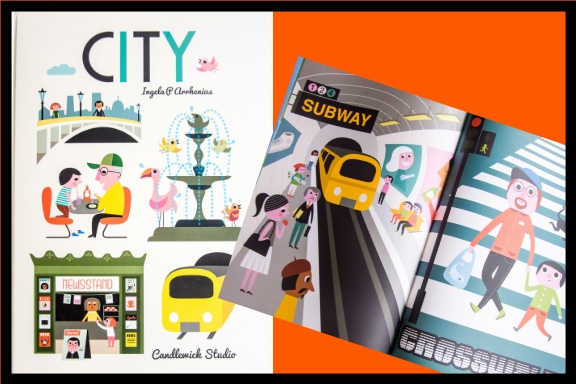 As your family explores this book, city kids will see their streets in a whole new way. And children from rural areas can walk with you along some very different streets then the ones they are used to. That is one of the things I love about books: they open up new worlds for us all. Tell a story based on one of the pages..
Write a poem or story based on one of the pages. Take a walk and draw some of the things you see in a similar style. These are just a few examples of the MANY and varied books available from Candlewick Press. Be sure to download the Fall-Winter 2018 catalog! And find more learning activities with Teach Language Arts with Real Books from Candlewick Press. Order directly from Candlewick.com and enter discount code CANDLEWICK at checkout to receive a 25% discount. Woo hoo, I love discounts on books!